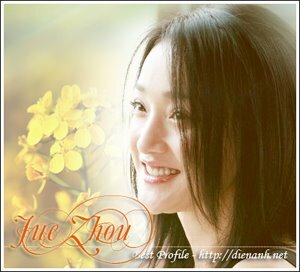 Zhou Xun: Dream cast a dream to work with ! IN his new musical movie, Perhaps Love, Hong Kong director Peter Chan assembles an Asian dream cast: Hong Kong's Jacky Cheung, China's Zhou Xun, South Korea's Ji Jin Hee and Taiwanese-Japanese Takeshi Kaneshiro. # Reel life: Jian Dong, a stage actor who carries the pain of being jilted by songstress Sun Na 10 years ago, until they meet again. # Real life: He is the biggest surprise in this movie. I expected the least of him because he is still considered more of an idol than a credible actor. I was worried initially, but as it turns out, the bigger the worry, the bigger the surprise. Takeshi asked lots of questions, and he contributed very good ideas to the movie. Few actors are able to understand their roles better than the director, but Takeshi did. You'd think someone as suave as he is would never be jilted, but he said it has happened to him before. His devotion to his role is stronger than anyone else's. He brought his own character, emotions and energy into his role, and he even helped me to write lines. He was averse to singing initially, and he wasn't confident of his singing. No doubt he started out as a singer, but he really prefers acting and he doesn't miss those early days. He wanted to reserve the right not to sing if he couldn't do it well, but I convinced him that if he could read his lines, he could sing. It's the emotions conveyed in the singing that counts. # Reel life: Sun Na, a materialistic and ambitious stage actress who is forced to face her old flame when fate reunites them in a musical alongside her current lover. # Real life: She is 100 per cent the opposite of her character. She plays a materialistic woman who forsakes her past, but in real life, she is someone who will give up everything for love. In one scene, she has to get on a bus and leave the male protagonist behind. I told her to do it without turning back. But she kept turning around and couldn't get on the bus. Her point was, if she really likes him so much, why can't she look at him one more time? No matter how cold and hard a woman is, there is always one soft spot in her heart. Zhou Xun brought that softness out in her character. # Reel life: Nie Wen, Sun Na's current lover, a powerful director who has groomed her into the top actress that she is. # Real life: Jacky is the most easy-going person among the cast, and he has the most qin he li (audience affinity). But he is also the most opinionated one. He has his own set of principles, and he'll insist on his own opinions. Once he decides on something, you can't change his mind. In one scene, he had to stand in the middle of a very high platform, but he stayed by the side and every time I told him to move, he'd just move a bit. He said it made him giddy and even told me to go up there and see for myself. Usually he'd do everything for the movie, so this must mean he's really afraid of heights. # Reel life: Montage, an angel who descends upon earth to explore that unfathomable thing called love, and bridges the rift between the two long-separated lovers. # Real life: When I contacted Ji Jin Hee to fill in the role because a certain superstar (Andy Lau) opted out, he flew to Hong Kong to audition within three days. He has the least screen time, but he stayed around for two whole months. He learnt Mandarin from scratch, and also learnt singing and dancing. Can you believe that he had never gone disco-dancing when he was young? He is very introverted, but very hardworking. He is not linguistically gifted, but he worked very hard to memorise all his lines. He even flew back to Hong Kong three times to re-record his lines. His professionalism is top notch.